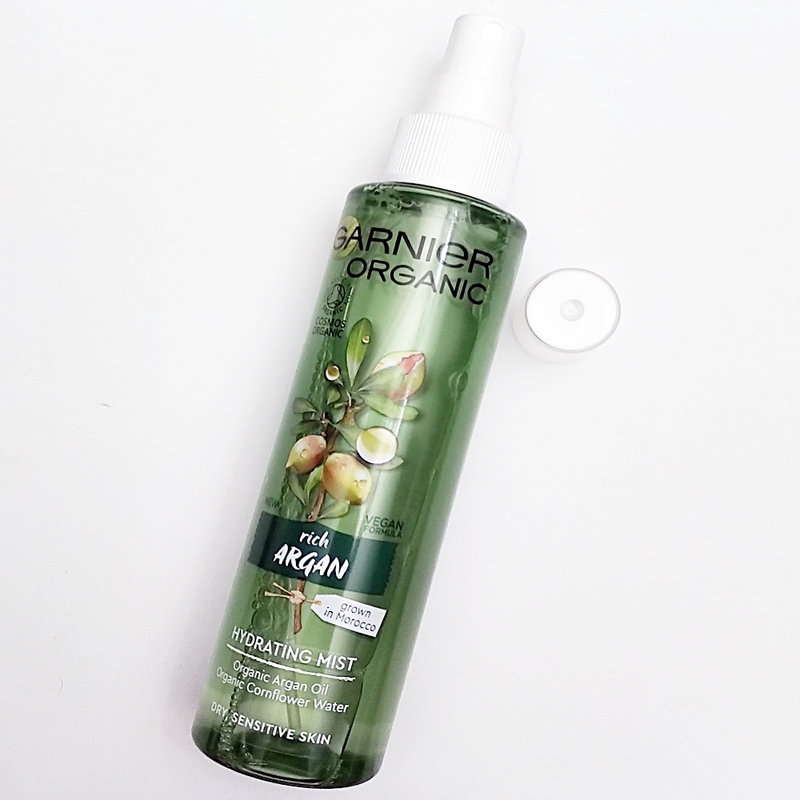 Home / SkinCare / Garnier Organic Rich Argan Nourishing Mist. 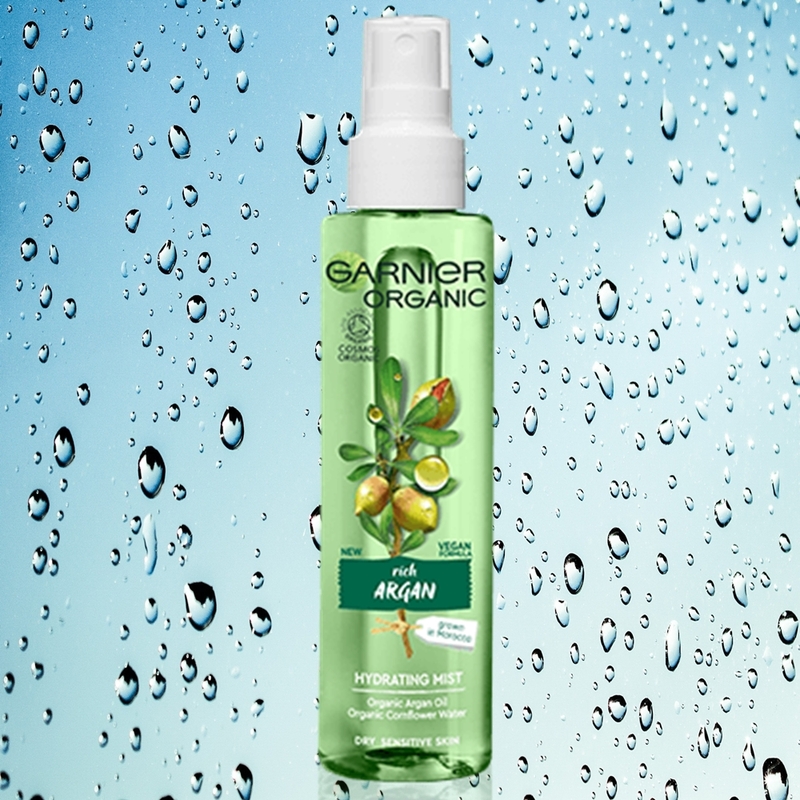 Garnier Organic Rich Argan Nourishing Mist. 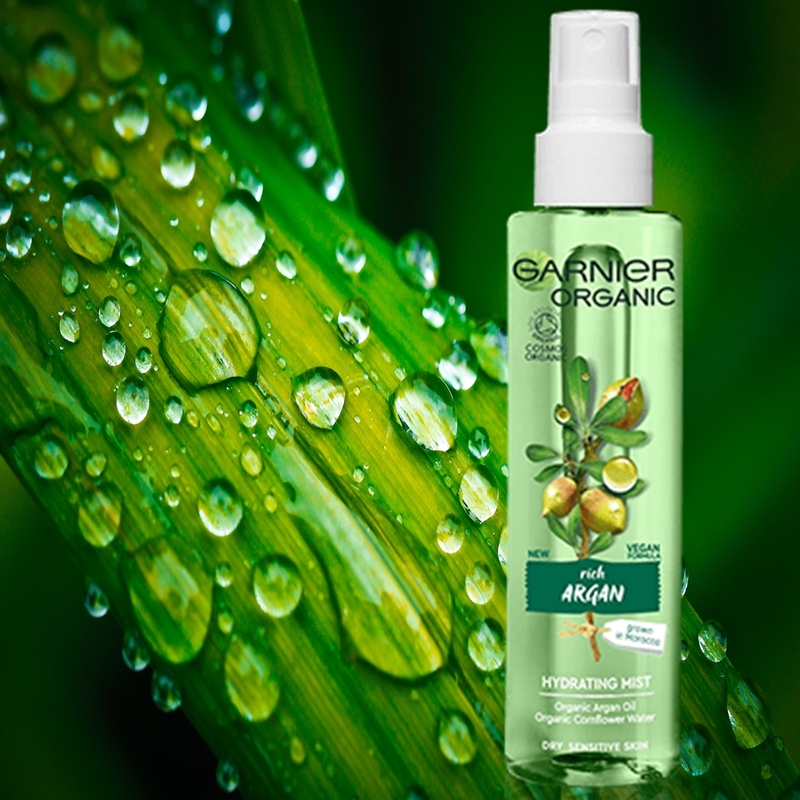 Nourish and hydrate skin easily with one spritz of the Garnier Organic Rich Argan Nourishing Mist. The fine-spray facial mist contains nourishing organic argan oil known for its many skin benefits, along with anti-inflammatory organic cornflower water that soothes and relieves for sensitive skin types. The formula has no animal derived ingredients or by-products and is certified organic by cosmos organic, certified by the soil association according to the cosmos standard. 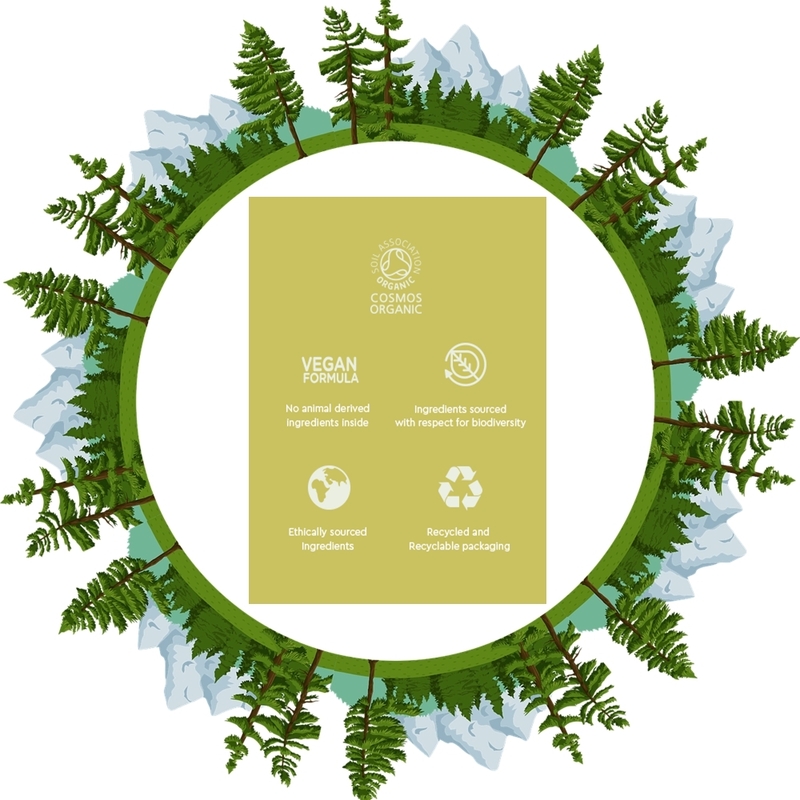 The argan is ethically sourced with respect for biodiversity and is organically produced from Morocco. One other great thing is the packaging contains 100% recycled plastic, and once you have finished the product you can then place in your recycle bin or recycle centre to start this journey again. The transparency on the ingredients list is another welcomed addition with 11% of the total ingredients detailed are from organic farming and 99% total the natural origin. Facial mists are quite versatile in the way they can be used and can easily be fitted into your skin care routine. Spritz over a cleansed skin before applying your serum or moisturiser to lock in moisture and keep skin hydrated. Spray over the skin before makeup to create a hydrated and smooth base that will prime the skin to help your makeup last longer. Dehydrated skin can occur during the day due to the weather or air conditioning etc, but by having a facial mist on hand u can help keep your skin looking hydrated and feeling comfortable. Holding the spray bottle in your hand and keeping a distance of at least 15 cm away from your face, you can then spray over the skin with your eyes and mouth closed to ensure an even layer. The fine mist veils the skin, while a warm and herbal natural fragrance can be detected but soon disperses and disappears. I was really impressed on how quickly this absorbs into the skin, without leaving the skin feeling sticky and not creating a layer that can interact with other products, which results in that dreadful crumbling and piling off. Skin feels hydrated and perfectly balanced and is a welcomed addition to my skin care routine with a few quick sprays. Find out more about the organic face mist and the other products in the same range over at Garnier Organic. * I do not use affiliated links, they are simply highlighted in blue for you to find the product faster.